Note: These aspire Atlantis BVC replacement Coil Heads are only compatible with the Sub-Ohm Atomizer aspire Atlantis and the aspire Atlantis 2. Sub-Ohm means that the electrical resistance is below 1.0 Ohm. 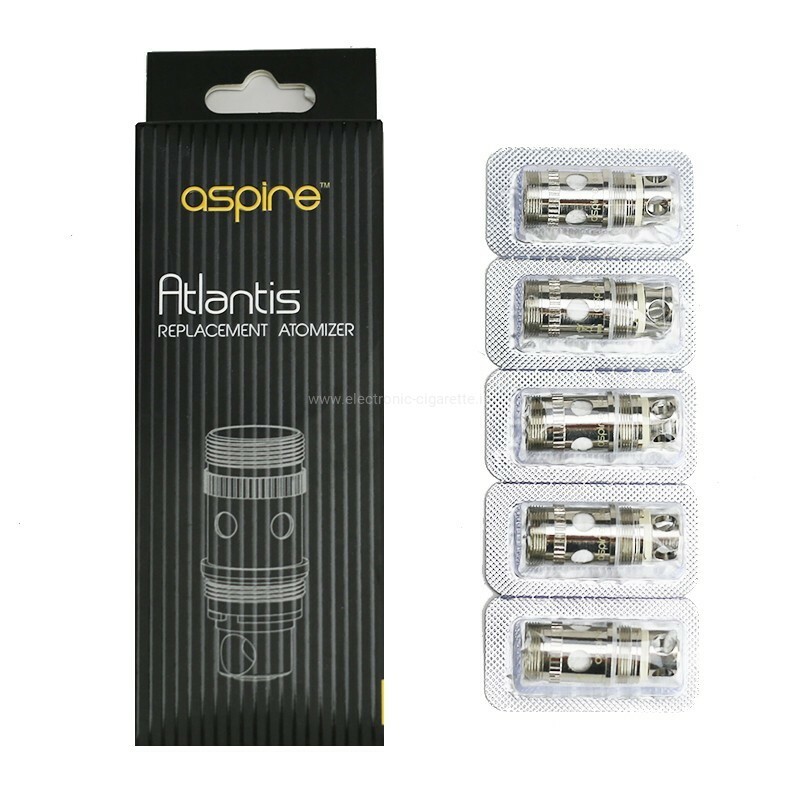 This aspire Atlantis BVC Coil Heads has a resistance of 0.5 Ohm and may only be operated with batteries or battery carriers designed for sub-ohms (high-performance batteries)! This aspire Atlantis replacement Coil Heads with an electrical resistance of only 0.5Ohm is an extreme sub-ohm Coil Heads for the highest demands. 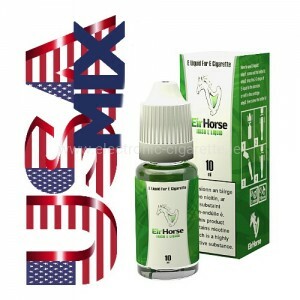 Due to its low resistance, it puts some self-winding Clearomizer into the shade. Big advantage: The aspire Atlantis replacement vaporizer can be changed quickly and easily on the road - elaborate self-winding is not necessary! The Aspire Atlantis BVC Coil Heads delivers a full power with particularly high and dense vapor at 20-30 watts of power. The patented Vertical BVC (Bottom Vertical Coil) patented by aspire offers pure taste and a longer life. Due to the large air holes of the aspire Atlantis Sub-Ohm Atomizer, one of the tensile resistance is very low and the vapor can be inhaled directly into the lungs. We recommend a very low nicotine strength or nicotine-free liquid with this aspire Atlantis Coil Heads. The aspire Atlantis Sub-Ohm Clearomizer is not suitable for beginners or newcomers because very high currents are flowing due to the extremely low electrical resistance during use! Please use the aspire Atlantis Sub-Ohm evaporator exclusively with high-performance accumulators and accumulators, which are designed for sub-ohms voltages. 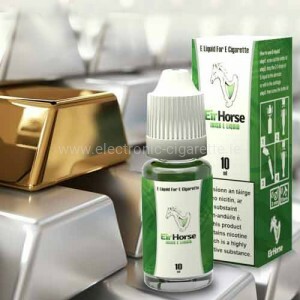 Since the aspire Atlantis Sub-Ohm BVC Clearomizer produces an enormous amount of cloud, it is advisable not to use it during the car journey, as otherwise the visibility can be impaired. We assume no warranty or liability claims in case of incorrect operation or disregard of the above mentioned. Safety instructions! Specifications aspire Atlantis Sub-Ohm BVC Replacement Evaporator (1 pcs. ): Note: aspire Atlantis BVC Sub-Ohm coil heads are wearing parts (DOA guarantee) and must be replaced from time to time. 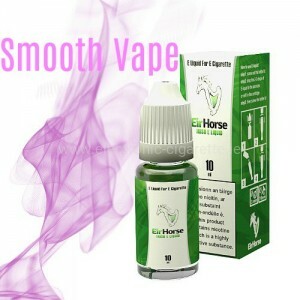 Vapor SUB Ohm Vapor can be dangerous, there are very high currents! This can lead to overheating / outgassing of the battery. Please use only suitable batteries and accumulators with protective electronics! Before use, check whether your battery holder is suitable for SUB Ohm Vapor!